A $250,000 business finance investment from the Initiative Foundation to the Latino Economic Development Center (LEDC) will be put to quick use when its first of several Central Minnesota loan clients, Agua Gorda Cooperative, taps into the funding to purchase a 54-acre Long Prairie-area farm. The investment in the Minneapolis-based LEDC signals the Initiative Foundation's continued focus on regional impact investing, said Lynn Bushinger, treasurer and chief financial officer at the Initiative Foundation. The LEDC will use the money to recapitalize its loan fund. In turn, the LEDC will use the funds to make loans to Latino immigrants in the Initiative Foundation's 14-county service area. "We are excited to partner with LEDC with an investment that will improve the lives of people in our region-people we might not otherwise reach through our more traditional lending activities," Bushinger said. "The model the LEDC has developed will create a pathway for Latino immigrants to make the transition from worker to owner, thereby increasing the potential for wealth creation for them and their families." Agua Gorda Cooperative is a worker-owned cooperative farm. The growers, who originally hail from Agua Gorda, Mexico, have been growing produce and achieving year-over-year profits in Long Prairie since 2012. They focus on tomatillos, cucumbers, summer squash and melons and recently were certified organic by the U.S. Department of Agriculture. After signing contracts with Twin Cities businesses and co-ops, the group during the 2014 growing season saw a profit of around $43,000. Since then, Agua Gorda Cooperative has purchased a tractor and other farm equipment. Now they have their sights set on securing the LEDC loan to purchase the 54 acres of farmland just outside of town. (Watch a video that highlights Agua Gorda and its work). Jaime Villalaz, greater Minnesota business development specialist for the LEDC, isn't surprised by their success. "These are humble people who work on dairy farms and at the Long Prairie Packing Plant," he said. "After they are done with their regular jobs they spend four to five hours every day working their farm. We have great hopes for the future of their business." The LEDC's was incorporated as a nonprofit in 2003 with a mission to "transform our community by creating economic opportunity for Latinos." 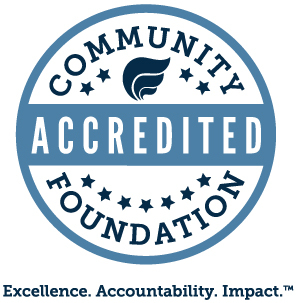 Like the Initiative Foundation, the LEDC is certified as a Community Development Financial Institution, or CDFI. The certification from the U.S. Department of the Treasury's CDFI Fund signifies that an organization meets stringent requirements as a financing entity with a primary mission of promoting community development. The LEDC also is recognized as an Opportunities Industrialization Center (OIC) by OIC of America and by the Minnesota OIC State Council. In addition to its lending program, LEDC provides technical assistance and training focused on a variety of different disciplines for running a successful business. Find more information at http://www.ledc-mn.org/.